Shimla: Even after series of parleys, the BJP in Himachal Pradesh is not able to finalise a name for the chief ministerial post. The party that won 44 seats in the 68-member House, is still in consultation mode as its chief ministerial face Prem Kumar Dhumal lost the election from Sujanpur Assembly segment. 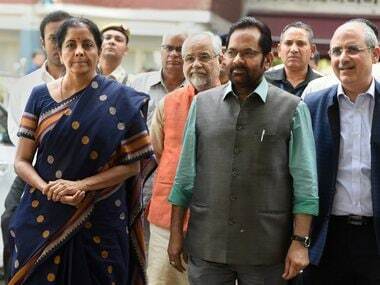 Although guesses on probable names are flying thick and fast, BJP has chosen to tread carefully lest an untoward political scene emerges suddenly. 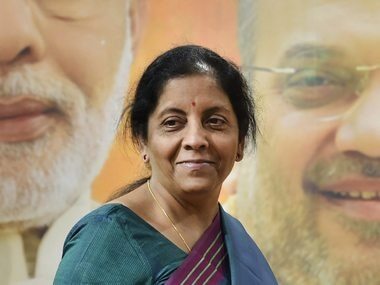 In several meetings held by central observer Defence Minister Nirmala Sitharaman, Rural Development Minister NS Tomar and Bihar health minister Mangal Pandey, the names of five-time legislator Seraj Jairam Thakur, Union health Minister JP Nadda, former chief minister Prem Kumar Dhumal and four-time Shimla legislator Suresh Bhardwaj were discussed. On Friday, the observers rushed to RSS headquarters in Shimla to know the mother organisation’s view. Sources said RSS was against the appointment of Dhumal as chief minister since he lost the election. The party can appoint Jairam Thakur as the chief minister as he comes from Seraj Assembly seat, adjacent to Kullu district. Out of the 10 Assembly seats in Mandi district, nine went to the BJP giving the party a vital edge to secure a majority in the Assembly. Mandi had a chance to get the chief minister's post twice in the past but things did not work out well. 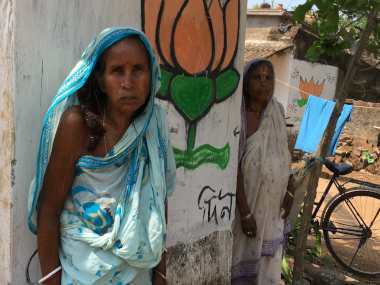 Now political pundits say BJP can fulfil wishes of the people of the second biggest district of the state. If Jairam becomes the chief minister, he is certainly going to block the way for the Dhumals. After senior Dhumal, his legacy will certainly be carried forward by his three-time parliamentarian son Anurag Thakur. If Jairam (52) becomes the chief minister, he will have a long span as leader of the BJP in the state, which is not in Dhumal's interest. Bringing in Nadda is something Dhumal may be comfortable with, but only if Anurag makes it for the cabinet berth in New Delhi. 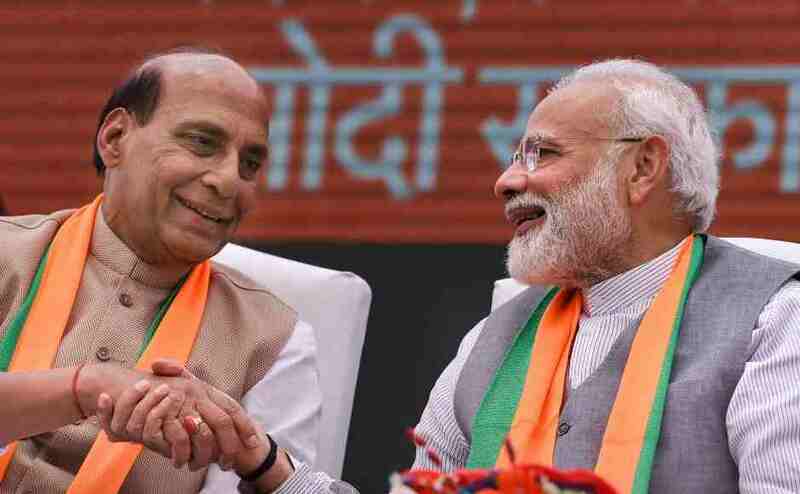 Though Dhumal is not in a position to bargain much the party may consider this settlement as an honourable exit to the two-time chief minister who formed the first BJP government that completed its tenure in 1998. Political analysts say by bringing Nadda here, Anurag has a chance to built his image and in years to come project himself as a leader in Himachal Pradesh. But it all depends upon the wishes of Nadda, whether he wants to come here and give space to Anurag to flourish or to support other names like Jairam and Dhumal. In case, Dhumal strongly opposes Jairam as the chief minister and the Centre is not willing to relieve Nadda keeping 2019 in mind then there may be the entry of a third leader and Shimla legislator Suresh Bhardwaj. Former Rajya Sabha MP and former state BJP president Bhardwaj is neither in the Dhumal camp or any other camp for that matter. Bhardwaj has many things on his side including his RSS link. Having started his public life as a pracharak of the RSS, Bhardwaj joined the ABVP later and also remained in jail during the Emergency. He was first elected to the Assembly in 1990, to Rajya Sabha in 2002 and again to the Assembly in 2007 and since then he remained an MLA representing the capital town. 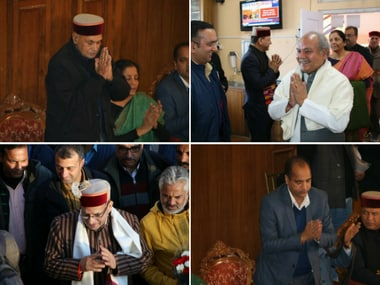 If the party wants to strengthen Shimla district which has eight seats, Bhardwaj would be the best bet and also effective to bridge the gap between Dhumal and anti-Dhumal camps. Though chances are bleak, the party can appoint Dhumal as chief minister as few legislators have offered to vacate their seat to make way for him to enter the Assembly. If Dhumal is back, he will be a lame duck chief minister. Secondly, the wrong message will go to the masses denting the image of Modi. Sources said Dhumal wanted MLAs to sign a letter in his favour but merely half a dozen legislators signed the letter forcing him to drop the idea. Thirdly, it is in the interest of Dhumal to accept the situation and make way for Nadda and adjust his son in the Modi cabinet. Neither numbers nor circumstances are favouring him and if the party still makes him the chief minister, it would be a huge victory for the Dhumals but it may be short-lived.